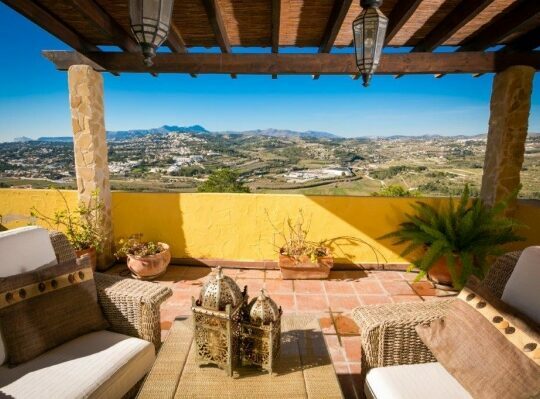 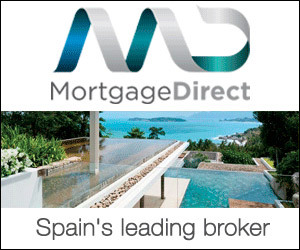 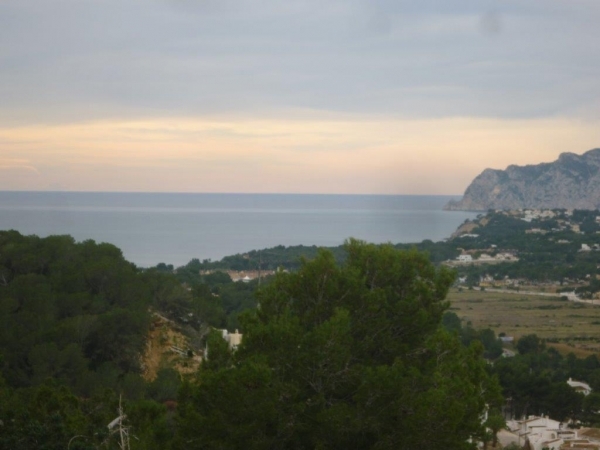 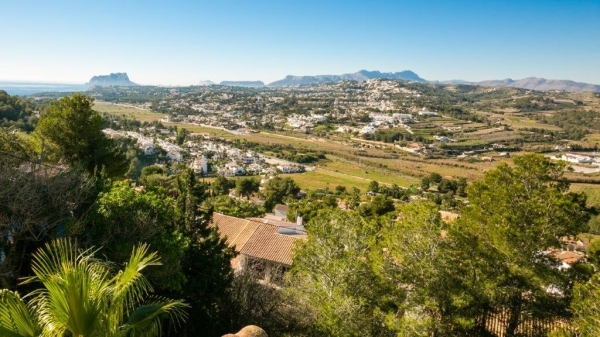 This southwest facing villa has beautiful views, both sea & panoramic & situated in El Alcazar, Moraira. 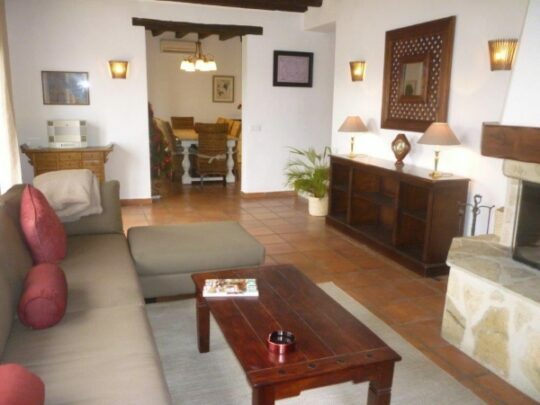 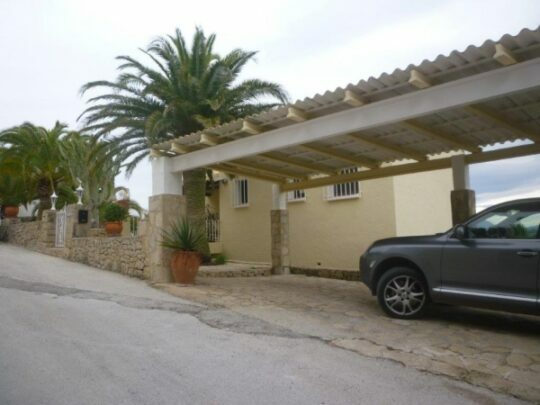 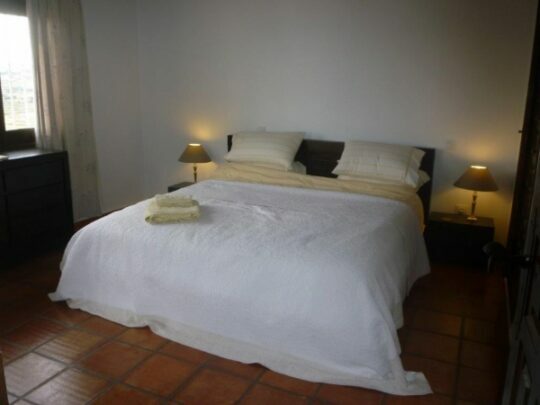 Built in 1980 this spacious villa has been recently reformed to a very good standard. 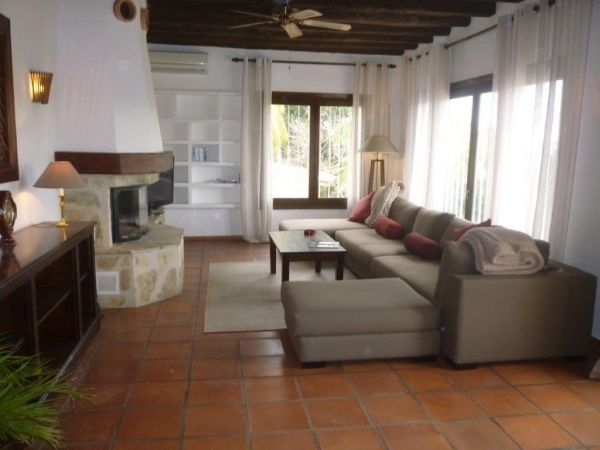 Enter the villa & off the hallway, there is a large bedroom with en suite bathroom, stairs then lead down to the main living area, which comprises of large open plan lounge with feature fireplace, dining & designer kitchen. 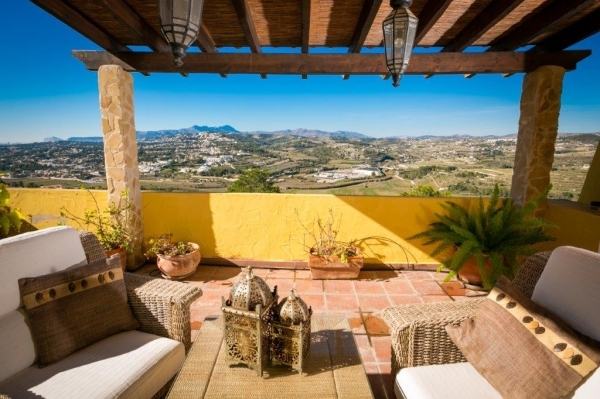 The living area opens onto a large terrace, which offers spectacular views. 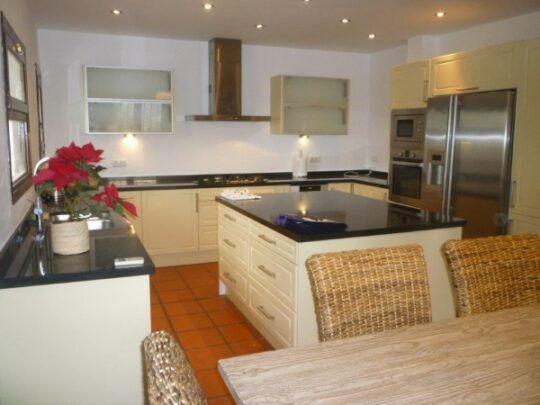 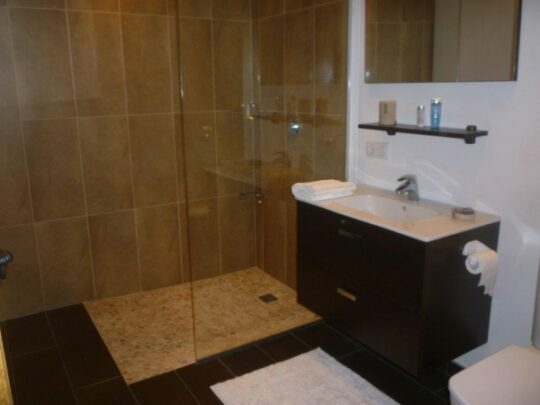 Stairs lead then to a further 3 double bedrooms, with two bathrooms (one en suite). 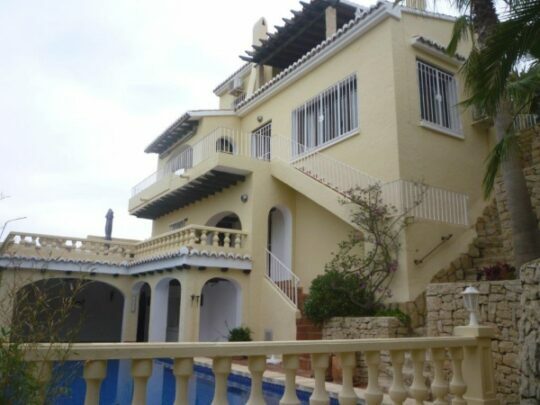 Other features include; barbeque area, multiple terraced sitting areas both open & covered, large swimming pool with electrically operated pool cover, off road parking, storeroom & hot & cold air conditioning.